Although most couples enter into marriage assuming the relationship will have longevity, sometimes that just isn’t the case. It is often the case in marriages that one spouse is more financially dependent on the other. 20 years or more, general term alimony may be ordered for an indefinite length of time. “Rehabilitative” alimony is temporary support. It is support paid to a former spouse for a limited time until the recipient spouse can become self-sufficient. Length of the marriage does not fact in to Rehabilitative alimony, however, the durational limit for “rehabilitative” alimony is five years. “Rehabilitative” alimony can end early if either spouse passes away, the recipient spouse remarries, or a certain event is initiated as mentioned in the divorce judgment. Under certain circumstances, rehabilitative alimony may be modified. The judge awards “reimbursement” alimony to compensate a former spouse for time, support, and resources invested into the other spouse during the marriage for financial stability. This could be a lump sum award or regular monthly maintenance. Although “reimbursement” alimony can last any length of time It is usually awarded for a finite period. Reimbursement alimony cannot be modified. The judge will award “transitional” alimony so that a dependent spouse is able to adjust to life after marriage. For example, one spouse may need assistance to move into another home or move to another state. Transitional alimony is only available for marriages that lasted less than five years. The judge can allow “transitional” alimony for up to three years. Like reimbursement alimony however, transitional alimony is usually awarded for a finite period of time. Transitional alimony cannot be modified. 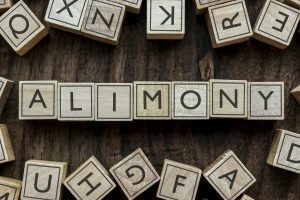 There are several types of alimony awards available and you need to know which one is right for you.For exceptional assistance with any aspect of your divorce or family law matter, contact the knowledgeable and experienced attorneys at Karpenski & Schmelkin, Divorce and Family Law Attorneys for more information.